Melbourne’s own world-class mix series Balance is renowned for attracting the world’s best deep, underground house DJs, and in the past has featured legends such as James Holden, Danny Tenaglia, Henry Saiz, Nick Warren, and most recently Stacey Pullen and James Zabiela. It has earned its place alongside the Global Underground, DJ Kicks and Fabric series as an elite platform for DJs to truly indulge themselves creatively and take the time to put together something personal and unique, in the days where DJ mixes are a-dime-a-dozen online. While he’s in illustrious company, for the 30th edition, the Irish-born, London-based Max Cooper has produced something truly special, perhaps in fact one of the very best thus far. He’s a talented musician and chameleonic artist who is as comfortable banging it out in the club as he is producing ambient soundscapes for art installations or crafting experimental sound design and accompanying stunning visuals. One link tying some of the music together is that Cooper features music from his own forward-thinking, multi-faceted Mesh label which was established to “explore the intersection between music, science and art”, including tracks from Barcelona-based Brit Rob Clouth, and the brilliantly pseudonymed Leicester producer Rival Consoles. 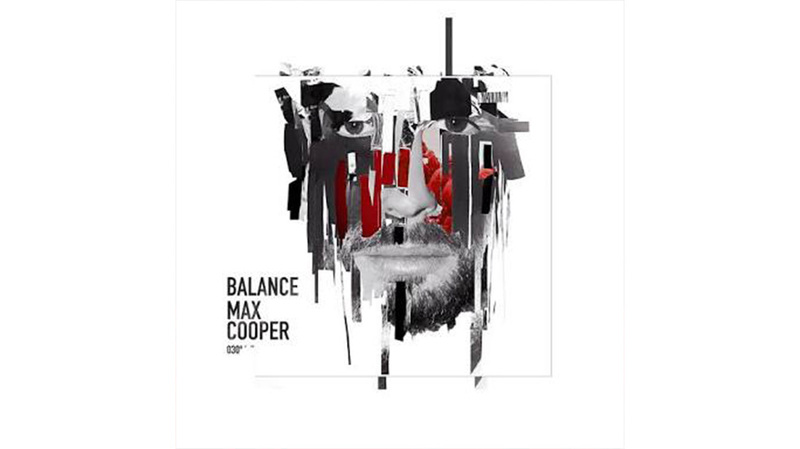 Cooper’s own experimental approach and warm yet techy sound draws comparisons to luminaries and fellow studio scientists Jon Hopkins, George FitzGerald and Bonobo. The first mix starts slowly with some gorgeous ambient sounds and piano tones before a shuffling beat kicks in gently with the lush, melodic sounds and dramatic synths of Cooper’s own remix of German nu-classical composer Nils Frahm’s For. Frahm is featured again later on the moody 23:52. Geotic’s Actually Smiling is a stuttering groove that builds nicely into Agrippa’s Ziplash. The heavier, darker sounds start to come with Portable Sunset’s Straylight (Dave DK Mix) and the tweaky, synthetic groove of Burnski’s Control marking a shift up into more rhythmic territory. Lusine’s Ticking Hands is a superb track, and the first to lift the mood by featuring vocals – the beautiful albeit processed voice of Sarah McIIwain. There are moments where things seem to stall a little, but he keeps it moving and evolving with most tracks only sticking around for 3-4 minutes before effortlessly drifting away into the ether. Mix one concludes with two of Cooper’s own productions – the exclusive Patrice Baumel ‘Balance’ remix of Organa and the superb layered sounds of Resynthesis. For the second mix, Cooper changes things up and heads for the club. After a few tracks of dark ambience, Brecon’s Half Light drops a subtle breakbeat with a winding, chiming melody, but still keeps it midtempo. He further teases us with beats through remixes of Hidden Orchestra’s Wingbeats and Rob Clouth’s Transition, then breaks it down into an electro funk groove with Com Truise’s Ternary, before suddenly we’re dropped deep in the jungle via the doubletime beat of Rob Clouth’s Silica, veering off wildly into a drum ‘n’ bass excursion of intricate, intelligent beats and surging basslines. The smooth, blissful sounds of LSB’s About Tonight are a welcome highlight, but before you can relax too much Cooper’s throws things back into leftfield with more frantic, dark, industrial beats. Alix Perez’s Blips bounces your head off the walls before a genius mix unexpectedly thrusts forward Atoms For Peace’s Default featuring the unmistakable voice of Thom Yorke. It’s a fitting climax to a whirlwind ride that resolves into the soaring ambience of Rival Consoles’ What Sorrow. A real piece of headphone music that you can close your eyes and get lost in. Cooper’s crafted a true work of art here.